What's more, this history is often told in figures too large to comprehend on the human scale. Large numbers – like the infamous 6 million people murdered – obscure the significance of key operations that shaped this genocide, leaving instead just a vague characterization of a massively devastating event. My study looks at the "kill rate," or murders per day. This reveals a sudden massive slaughter after Hitler "ordered all action speeded up," as one SS officer put it, on July 23, 1942. Approximately 1.5 million Jews were murdered in only 100 days, including in shootings outside the death camps, with nearly 500,000 victims killed each month during August, September and October. That's approximately 15,000 murders every day. While Operation Reinhard is considered the largest single murder campaign of the Holocaust, the extraordinary speed at which it operated to obliterate the Jewish people has been poorly estimated in the past and almost completely unknown to the general public. This massacre of unparalleled scale took place in just three short months, and was only captured through analysis of Arad's dataset. This minimal time indicates the enormous coordination involved by a state machinery responsive to the Fuhrer's murderous will to eradicate a people. The train records show how zones were emptied of Jewish communities one by one in an organized manner and how intense kill rates were achieved in targeted areas that only slowed as victims ran out. My plots of the data highlight the pace and frenzy of this mass murder. 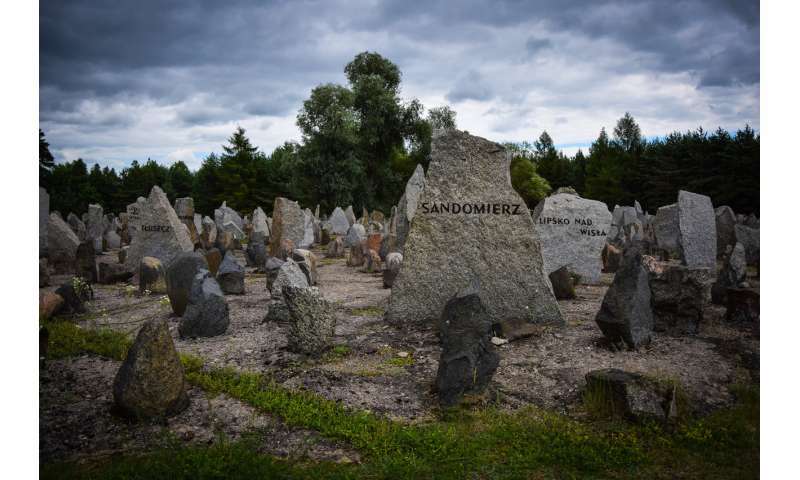 Genocide scholars often compare rates of recent genocides to the rate at which the Nazi Holocaust occurred, treating the latter as a kind of benchmark for genocide severity. As such, currently many social scientists maintain that the Rwandan genocide was the most "intense genocide" of the 20th century, with a sustained period of murders occurring at a rate three to five times more rapid than the Holocaust. 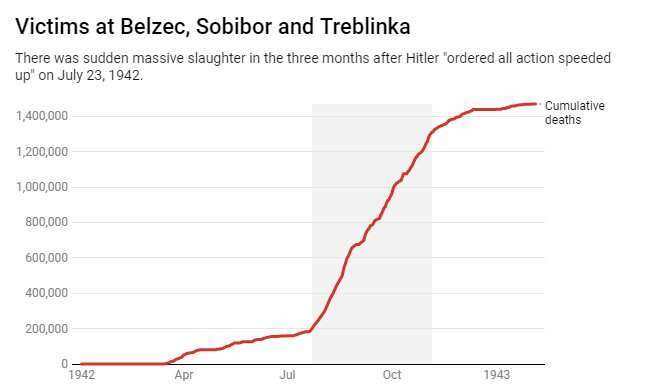 That suggests that Holocaust kill rate has been underestimated on an order of six to 10 times. In my view, these sorts of comparisons have limited usefulness, and clearly diminish the Holocaust's historical standing.